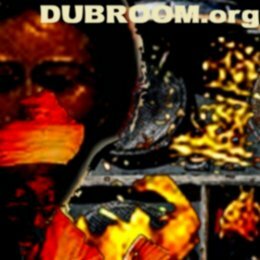 The Dubroom is a large website with many different features and topical "sub sites". This section is especially designed and written to provide you with background information and introduce you to the Dubroom. We hope you have a pleasant stay! WWW, August 9 2014 - Established online in 1997, the Dubroom promotes (DUB) Reggae and Consciousness. A theme that has been consistent from the website's humble beginnings to it's current rather huge form. 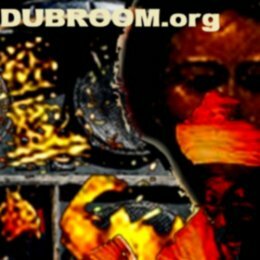 Add to that an independent position and a genuine desire to uplift people with music and awareness, and you've taken a quick look at what www.dubroom.org is all about. A visit to the Dubroom's site map listing all features will confirm the initial look, while reading this introduction will put it in perspective. Independently promoting (DUB) Reggae and Consciousness, it comes with a vision and that vision materialized in the form of this website. No, it wasn't "meditated into existence" or something like that, the Dubroom's current stage is the result of many years hard work in many aspects. The site is designed to serve everybody who is interested in one or more aspects of this rather big realm of (DUB) Reggae and Consciousness. Many things to many people. It could be that you're looking for free and legal music to download. You might have an interest in producing music yourself and you want to know a bit more. You might want to find out just what that "Jah Rastafari" you always hear in Reggae Music means. Or, perhaps, your seeking ancient knowledge. The Dubroom has thousands of reviews. Albums, MP3's, Video's, just go to the Site Map and discover what more. Basic principle is that everything we review, we recommend. After all, we are here to promote some thing. We release music through our Net Label, and just just music produced in the Dubroom Studio. Our free releases have been online from times before there was such a thing as MP3, and our catalogue has well over 500 musical works. We research, too: find out what Babylon is all about these days, just what has been done with the Message of Salvation when it was turned into a system we know as "Christianity", and discover things about (the Movement of) Rastafari that you might not find on too many other places. For the rest, we publish. We publish and we communicate. We do what we can to promote (DUB) Reggae and Consciousness. Your host is Messian Dread, webmaster and editor of www.dubroom.org. 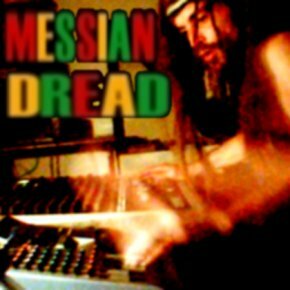 He is an independent freethinker and respected original (DUB) Reggae producer whose love for Reggae is widely known throughout the Internet. The Dubroom is his unfinished project, and so it is under continual construction. Click SITE MAP to discover all our features.